Happy Customers Faster Cash is for anyone who has to deal with the day to day issue of collecting payments from customers. It is a hands-on guide not only for credit controllers, accounts receivable employees, credit managers and debt collectors, but also for small business owners who may carry out the task of collecting money themselves or they employ someone where this is just part of their daily duties. All of the above will work on a daily basis with customers on the telephone to discuss various topics related to communication with customers, outstanding invoices, deliveries, complaints, excuses and of course payments. 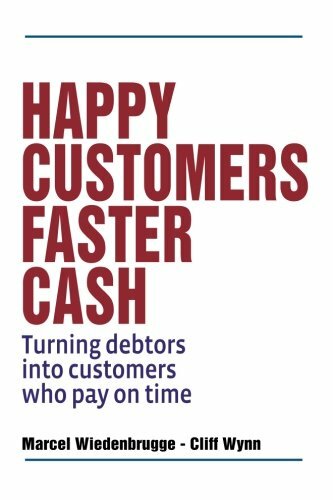 Happy Customers Faster Cash is in essence a practical book about effective and customer focused communication, while maintaining and growing a good relationship with your customers.